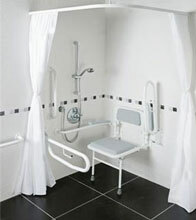 Hinged Grab Rail - Ideal for domestic and commercial use. Colostomy Shelves - Ideal For Commercial and doc m use. Disabled Alarm Kit - Get yours today! 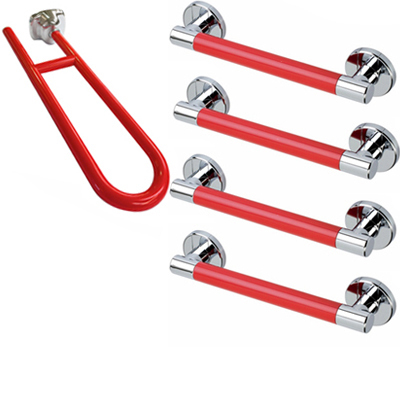 Looking for something that will bring a refreshing modern look to your bathroom, wetroom or toilet facilities? Look no further we now have a designer range that will take your breathe away! These new grab rail packs are designed to not only be strong, quality made but to enhance and create a whole refreshing new look. They are perfect for domestic use as well as commercial and ideal for hotels, restaurants, hospitals, or anywhere that requires something on the luxury side.